Do You Believe in Aliens? You Will After Reading This! Whether it is the Illuminati, aliens or spirit guides, everyone seems to have a theory of their own regarding extraterrestrial beings! It goes to the extent that some people spend huge amounts of time trying to understand these eccentric beliefs. When it comes to issues concerning other life forms existing in the universe, people always want others to believe what they believe. Some simply believe we are not alone, while others cannot stand the idea. Some will even narrate horrid stories of their encounters with aliens! Wait, do you believe in aliens? 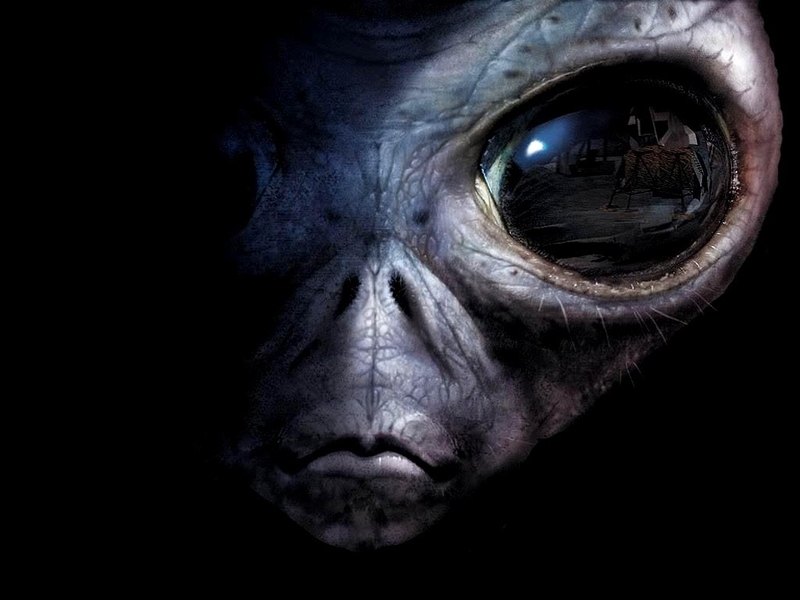 Here are some instances that prove aliens actually exist! First thing first, aliens exist! Look up into the sky. You will be shocked by how tiny we are compared to the universe. There are so many stars and planets in our galaxy and other galaxies which could be home to other living creatures. If you doubt it, here are some undisputable evidences. Registered sightings of UFOs are just too many to be a mistake. Although many of these sightings are often found to be untrue, a number of them are quite hard to explain away. One example is the Stephenville Lights case in 2008 where 200 people including three policemen spotted a UFO. In 1853, there was a sighting by professors and students at the Tennessee College Campus. All these cases are unsolved! Do you believe in aliens? Well, astronauts are the best people to explain their existence since they have been to space. Cady Coleman, Edgar Mitchell and Dr. Brian O’Leary are some of the astronauts that claim aliens exist. Others also base their claims on cover-ups and government knowledge. Buzz Aldrin claimed he saw something fly alongside Apollo 11 when they were on board. They thought it was a part of the detached rocket until it was confirmed that it was 6000 miles away by the mission control. Some US presidents have released classified files bearing information on UFOs. Jimmy Carter even described his own encounter. However, others including Bill Clinton have been denied access to such files. Nevertheless, Clinton has been very vocal on the existence of aliens. Reported cases of commercial airlines’ near-collision with UFOs are on the increase. There are countless stories that lead to the existence of aliens. A veteran pilot and his first officer once claimed seeing a “delta-shaped” object flying towards them as they were flying into Manchester. The craft disappeared just when they were planning to avoid it. In another instant, a pilot claimed to have slightly missed a rugby ball shaped UFO while flying in a passenger jet, A320 Airbus near Heathrow Airport. The captain said that he had ducked just in time to avoid the object that would have crashed into his aircraft. Such near-collision incidences have been reported many times but they are mostly ignored. In 1961, Frank Drake, an astronomer, came up with an equation that he used to estimate the existence of aliens. The equation took into account several factors including the average number of planets that can support life and the proportion that can further support intelligent life. It was implemented in 2001 and the result showed that there could be hundreds of thousands of such planets. Do you believe in aliens? Ancient evidence indicating aliens' existence could be convincing enough. An example is Egyptian hieroglyphs. One shows images of a submarine, a helicopter, a boat and a jet long before they were invented. This is very confusing. How could people know about modern day aircrafts unless they communicated with aliens? Ancient Egyptians also described beings that came from the sky. They talked of the sky opening and bright lights shone upon them to teach technology and impart wisdom. People believe that aliens visited Egyptians and left interesting stories for ancestors to pass on. One Carl Sagan describes the magnitude of the universe using an ant. We know ants exist and we see them. But do ants know that we exist even if we interact with them? The earth is in the milky galaxy. There is a possibility of 170 billion galaxies existing in the universe. We tend to make an assumption of the universe using one example which happens to have intelligent life. But do we really know what is out there? In 2011, Robert Hoover, a NASA scientist, claimed to have discovered fossils of alien bugs in meteorites that landed on earth. Laboratory tests showed that the fossils recovered were not formed from organisms found on earth. These three meteorites lacked nitrogen leading Hoover to conclude that the life forms that grew on the parent body of the meteorites grew in the presence of water. However, they are still to be confirmed as alien remains. Although numbers do not always mean the truth, but they do mean something. There are so many reported cases of encounters with aliens. And all these stories are consistent. After all, why would one make up a story of being abducted by aliens? So, do you believe in Aliens yet? In 2011, a Swedish company went treasure hunting in the Baltic Sea. In the process, they came across a 60 meter circular object. It sat at the end of a long stretch that resembled a runway!